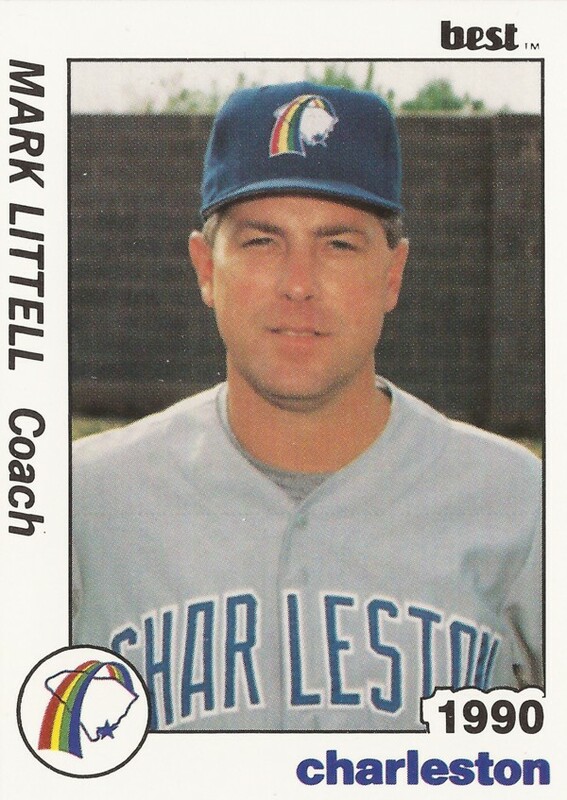 Mark Littell got his first look at major league hitting in an exhibition game in 1972. He pitched well, but loaded the bases at one point, including walking the great Hank Aaron, according to The Associated Press. But, The AP asked, was the minor leaguer nervous? "No, I wasn't nervous ... not really," Littell told The AP. "When the bases were loaded in the fourth, I knew I had to keep my cool." Littell eventually saw major league pitching for real, seeing it in nine separate major league seasons. He also went on to a long career as a coach. He has since gone to a career making sure others on the field aren't nervous, for wholly different reasons than that situation he faced back in 1972. Littell invented the Nutty Buddy. It's billed as an improvement on the athletic cup, one that can allow a player to take a 100 mph fastball, well, there and keep on playing. Littell's career in baseball began 1971, taken by the Royals in the 12th round of the draft. He started at rookie Billings, then played at single-A Waterloo that year he pitched in the exhibition game. He made AAA Omaha in 1973. He also made major league Kansas City that year. In eight games, seven starts, that first year in the majors, Littell went 1-3, with a 5.68 ERA. He returned to Kansas City briefly in 1975 and then for a much longer stint in 1976. In that 1976 season, Littell pitched in 60 games, mostly in relief. His ERA came in at 2.08 as he helped the Royals to the playoffs. He took the loss in the deciding Game 5 of the ALCS. He was named the team's pitcher-of-the-year. Littell stayed with the Royals through 1977, when he was traded to the Cardinals. He then played the next five seasons with his new club, including a 1979 campaign where the reliever went 9-4, with a 2.13 ERA. Littell's final major league season came in 1982. A lingering elbow injury finally ended his career. In 316 career major league games, he had a 3.32 ERA. 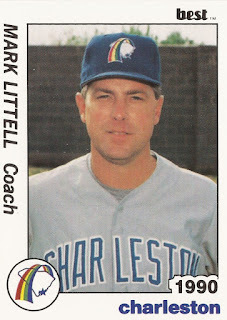 By 1989, Littell had started his coaching career. He served that year as pitching coach at short-season Watertown. He moved to single-A Charleston in 1990. In 1994, he was pitching coach with the Brewers at high-A Stockton. In one game that year, Littell's bullpen shined, according to The Stockton Record. "That's one of the things you like about guys coming out of the bullpen - come in and throw strikes," Littell told The Record. "They utilized the inside half of the plate. You can't ask for more than that." Littell served in various roles in the minors through 2006. In 1996, he served as pitching coach at AAA New Orleans. From 2003 to 2006, it was rookie Helena. He didn't make the majors as a coach. Since then, though, he has been promoting his invention, the Nutty Buddy. The device works by better distributing the impact around the important parts. He even appeared on an episode of ESPN's Sports Science and demonstrated the effectiveness of his product the only really effective way to do so - using a pitching machine. "The guy with the bullet-proof vest did it with his product," Littell told The Helena Independent Record in November 2006. "Well, I did too. I can literally say I stand behind my product."